CD Projekt RED have just released the Launch Cinematic that was teased yesterday, and it looks absolutely incredible. Feast your eyes on a gripping portrayal what The Witcher 3: Wild Hunt is all about and step into the shoes of professional monster hunter Geralt of Rivia in this gorgeous launch cinematic. An uncompressed version of the cinematic can be viewed or downloaded over at Gamersyde. 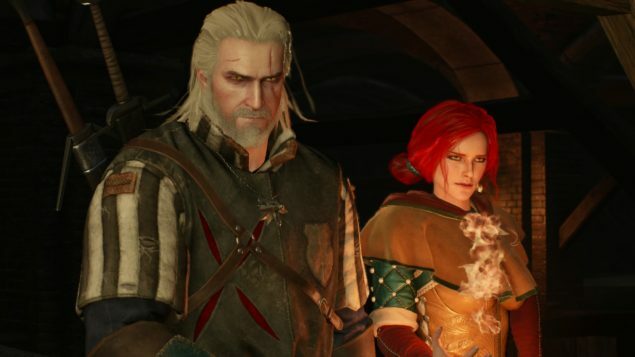 The review embargo for The Witcher 3 has been lifted and even though the team from CD Projekt RED was getting anxious, the reviews for the hugely anticipated game started rolling in, and they are absolutely great. The Witcher 3: Wild Hunt unlocks worldwide at 1 AM CET on May 19 for PC, PlayStation 4 and Xbox One. We have reported a few hours ago that The Witcher 3: Wild Hunt pre-orders have topped one million, something that goes to show, that despite some misguided negative remarks from the media, fans of the series have not lost faith or interest for the game. Level Designer Miles Toast revealed tons of interesting new information during a livestream hosted by GoG.com, yesterday. Nvidia has made available the first screenshots from The Witcher 3 that demonstrate Nvidia features like HairWorks and HBAO+. The Witcher 3 is just six days away from release, and as we have previously covered, CD Projekt has already announced that pre-load options are already live, as well as the unlock times for The Witcher 3. The Witcher 3 will release on May 19 2015 for the PlayStation 4, Xbox One and PC. We will bring you any new information on The Witcher 3 as soon as it becomes available.